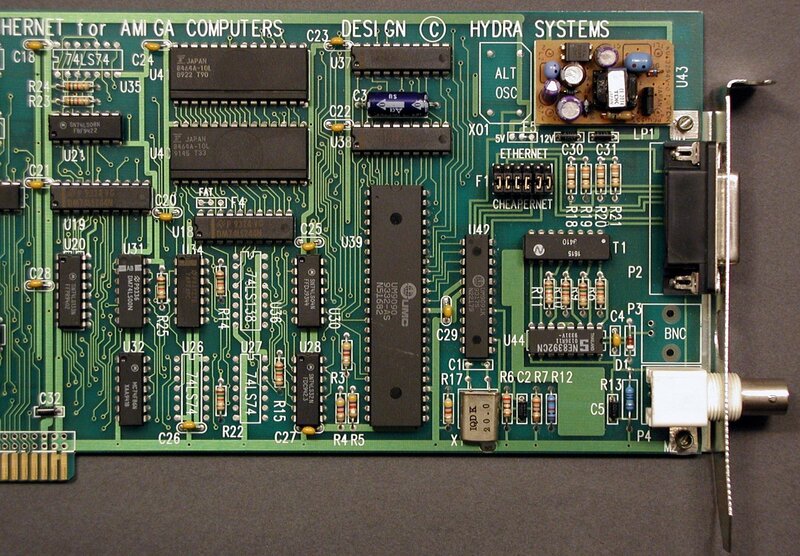 The AmigaNet is a full length Zorro II Ethernet card (NatSemi 32490CN) for the Amiga. 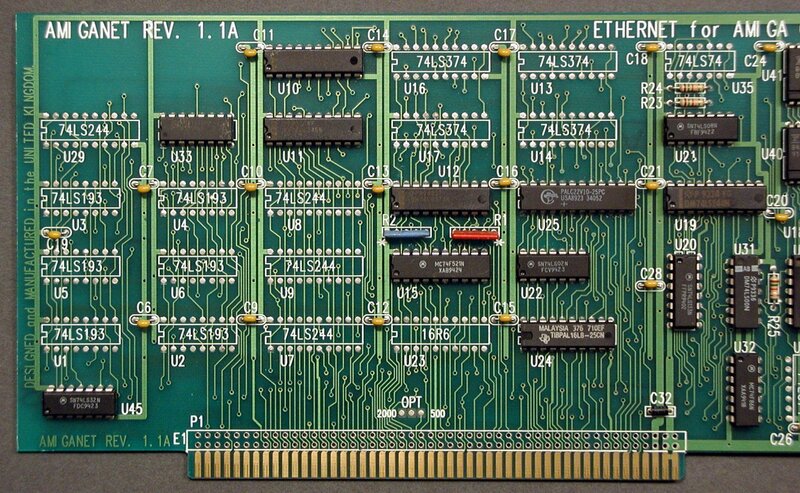 Depending on the specific versions of the card, it supports 10Base5, 10Base2 and 10BaseT. To support 10BaseT, your card may require an optional upgrade to attach the RJ45 connector to the board. Earlier revisions of the board have two BNC connectors, rather than the conventional single connector that most ethernet cards have. This means you do not need the "T" connector which you do with other ethernet cards. You simply attach both BNC connectors to the same network segment. The AmigaNet has been reported to transfer at up to 600k/sec. 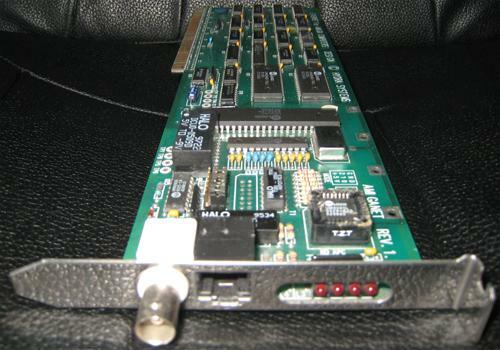 The Zorro II network card released by GVP called the A-Net 2000 was simply this card rebadged. There is only one set of jumpers, block F1, which has six pairs of pins. When all are in the down position, it is set to ThinNet 10Base2 (CheaperNet). When all are jumpered in the up position, it is set to use the AUI port for 10Base5. Page contributors: Calum Tsang, Corbin B Siddall, Mats Magnusson, RiWa & Friends, Takahasi Kasiko, Thomas Weygand, Warren Block.